Turks & Caicos developer, Stan Hartling, dares to be different and reaps the rewards with his luxury resorts. Celebrating the start of a new legacy with The Shore Club ground-breaking. When the Hartling Group broke ground on The Shore Club, their most recent project on Providenciales (Provo), Turks and Caicos (TCI), in January 2014, it was an event as unique as the high calibre resort development will be. Instead of laying on a lavish spread for dozens of VIPs and local dignitaries, Stan Hartling, CEO of the Hartling Group, chose to invite 250 local high school graduates to the event. Designed as an educational day for young people entering the workforce, it gave them the opportunity not only to witness the very beginning of a resort development, but also to attend a special careers expo, where local firms involved in resort development and operations were on hand to offer advice and guidance to the young job-seekers. CEO Stan Hartling inspires a student at Shore Club Career Expo. Community involvement is of paramount importance to Hartling and in addition to events such as this one, and his participation with the Provo Hockey League, his firm supports a number of non-profit foundations. "Being involved with the community makes me feel part of the fabric of life here," he says. "There is a purpose to what we do, and we can see the results of our efforts, especially in such a small place. It's rewarding." Originally from Nova Scotia, Canada, Hartling has been calling Provo home for 18 years. He first visited the island in 1996 to attend a tax seminar, but the pristine beaches, friendly people and easy going lifestyle were quick to work their charm and before long he had bought six acres of undeveloped beachfront. The 850 feet of exclusive beachfront at The Shore Club. An experienced property developer - he had built a portfolio of shopping malls and subdivisions in Canada by his early 30s - he had a nose for a good deal and knew in his gut that the island was approaching a critical mass. "There were only two or three developments on Grace Bay then; the golf course was in place though, and new restaurants were opening and staying open. The timing was right," he recalls. 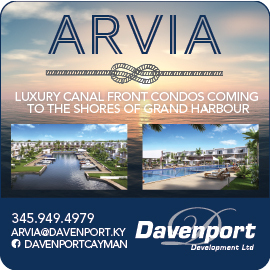 Indeed, nowadays the spectacular five mile stretch of Grace Bay is backed by dozens of high-end condos and resorts, two of which - the swish Regent Palms resort and the plantation-style villa development of The Sands - were developed by the Hartling Group. Having dabbled in fine arts and music, qualified as a chartered accountant and then moved in to the property business, Hartling has an eye for design, a head for numbers and a shrewd business sense, but more than that, his success can be attributed to the fact that he is not afraid to take a different approach. "The Shore Club is a prime example of my tendency to throw away the spreadsheet and look at what the market wants: the niche right now is in high-end, boutique, give-me-something- really-special properties," he explains. "So we think about how we would create that special product." One of the two low-rise beachfront buildings with only 38 condos on Long Bay Beach. Taking luxury to another level entirely, The Shore Club will comprise 38 high-end condos and six spacious villas connected by underground passageways, enabling staff to move around unseen. It is the "lack of focus on density," as Hartling puts it, that will really distinguish the development, however. Spread across nine acres of virgin beachfront at Long Bay Beach, the developers will use only about 50 percent of the approved density for the property, something that, as time goes by, will become increasingly rare. "There may be only one or two examples of this, ever, in Provo," Hartling observes. "Our clients see the value of something that is unique in the long term and are willing to pay more for it." He knows what his clients want - the luxury Caribbean vacation home with the peace of mind of managed ownership, an income stream from the rental programme and a viable long term investment - and that is what he delivers. "The value of a property is more than the cabinetry or the quality of construction. If you look at what creates long term value growth it's impossible to ignore the management and maintenance of the property post-opening," Hartling explains. His first TCI project, The Sands on Grace Bay, looks better today, he says, than it did when it opened 15 years ago - proof that he is in it for the long run. A $5.8 million beachfront villa on Long Bay Beach. A self-confessed control freak, Hartling admits that not many people would still want to be sitting in on AGMs a decade after a project is complete, but for him, it is just another phase in the life of the development, and he thrives on being involved in every phase: design, construction, sales and operations. Hartling has approached both the design and the management of his resorts from a unique perspective - the perspective of a client seeking a long-term investment. The result is a series of award-winning luxury resorts that will stand the test of time, where owners buy into a whole leisure experience, not just bricks and mortar. His success to date is ample proof that his unique approach to real estate development works, and that daring to be different pays off.